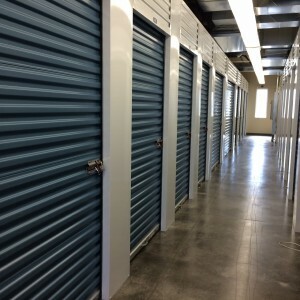 Our units vary in size, from 5’x5′ to 12′ x 30′. 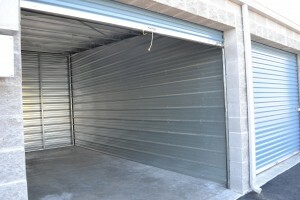 * For drive up units we offer oversized doors for easy access. Our climate control units are accessed through an interior hallway. 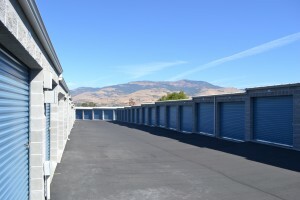 Below are some pictures and facts about our facility. However, nothing replaces an in-person visit or a phone call with our friendly staff. Our climate control units range in size from 5’x7′ to 5’x10′ and are individually alarmed. Tenants have ground-floor access to the units through a spacious, interior hallway in our new building at 696 Mistletoe Rd, from 7am – 9pm daily. The hallway temperature is set to stay within 68 and 73 degrees year round. All our drive-up units are individually alarmed and accessible 24/7. * Advertised unit sizes are approximate and for comparison purposes only. Spaces may be smaller or larger than advertised. Spaces are not rented by the square foot and rent is not based on square-foot measurements. Call, email, or stop by the office to find out about our latest promotions and rates.